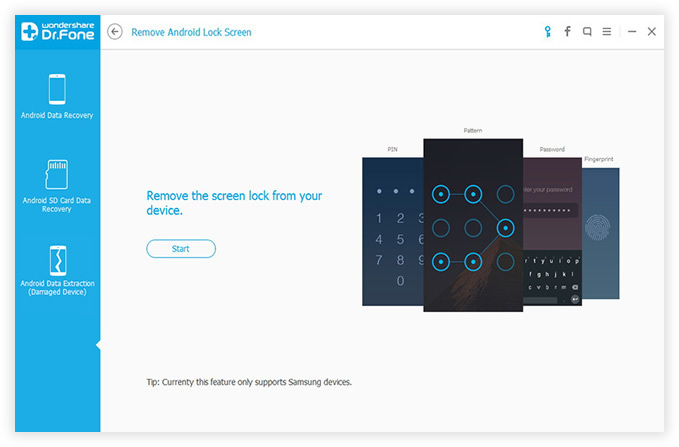 It is a common practice to protect Samsung Galaxy phone with a screen lock that keeps most of the strangers and intruders away from the phone. There are people out there that try to steal personal information from smartphones. Plus, adding a screen password is also a great way to keep your kids away from the device to make sure they don't misuse it. However, screen lock comes with a huge disadvantage, if you failed to enter the correct password or pattern lock more than 5 times then it will lock you out for a certain period of time and it becomes impossible to enter the lock password if your phone is somehow broken. Yes, this happened to most of us as well when the phone accidentally slipped out of our hands and we end up with a damaged phone. Iit is impossible to draw the pattern or enter the PIN code because the phone simply won't respond to your touch. And without unlocking the phone there's no way to extract the data from it. So, how to unlock Android phone with a broken screen? Don't get disheartened because even if the phone screen is broken you can still recover the data from your phone by unlocking it with the following tricks we are about to mention in this guide. That's right, you can draw the pattern lock with the help of a mouse. 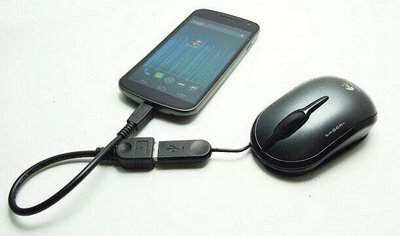 But, you must note that a mouse can't be connected with your Android phone directly. First, you will need to buy an OTG cable to establish a connection between your phone and mouse and then you can use your mouse to unlock your phone. Here's a brief detail on what we just said. Step 1: Connect the OTG cable with your broken Samsung phone and on the other end, connect the mouse and wait for the phone to recognize the input device. 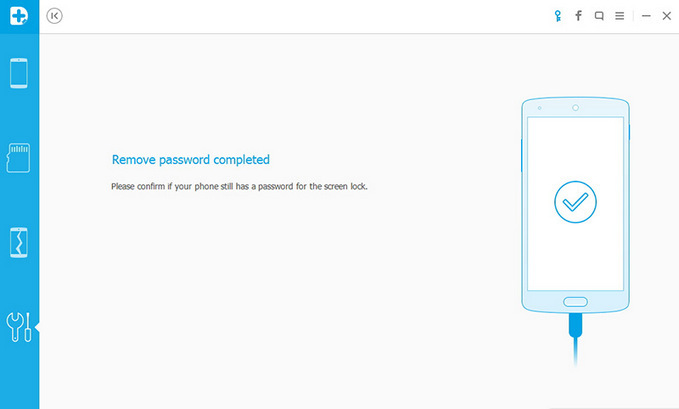 Step 3: Now, draw the pattern lock with your mouse and unlock your phone. However, this method doesn't work for PIN password. And it is useless if your phone can't recognize mouse as an input device. If you were using a text or PIN password then the above method will not work at all. So, to unlock Samsung phone especially with a broken screen requires a commercial software to do help you solve the issue. Android Lock Screen Removal is a professional password cracking software that totally erases the lock screen protection from Android based smartphone, including Samsung, LG, Sony, etc. In short, this tool deletes the screen lock from your phone so that you can access it without entering any password or PIN code. It can remove all 4 types of passwords namely text password, PIN code, pattern lock and even fingerprint locks. It is a self-explanatory and easy to use program that requires no technical skills to operate it. Step 1: Run the program on a Windows PC and connect your broken phone to PC with a USB cable. Step 2: Choose "Lock Screen Removal" option from the home screen and on the following window, hit the "Start" button. 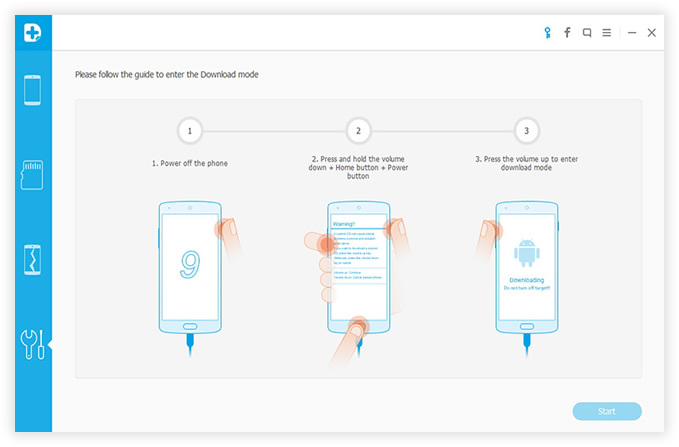 Step 3: Reboot your phone in download mode by pressing "Power +Volume Down + Home" buttons together. When the light appears on your phone, release all the buttons and keep holding the Home button. Your phone should now enter into download mode. 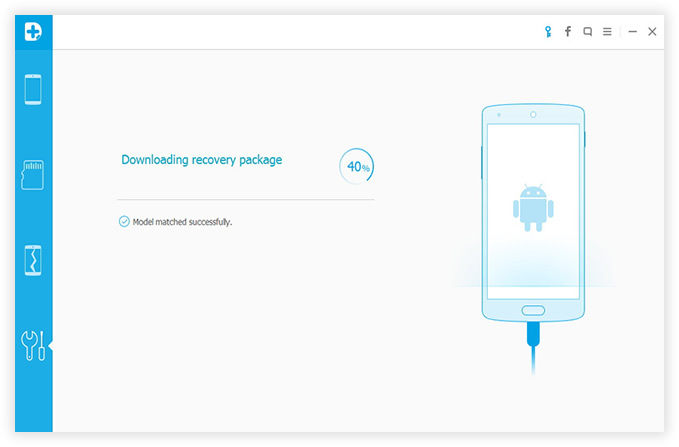 Step 4: The Lock Screen Removal tool will automatically recognize download mode on your phone and will attempt to download the necessary recovery packages on your smartphone. Leave the phone as it is and wait for the program to finish its task. It is painful enough to say good bye to your broken phone but at least with Android Lock Screen Removal, you can remove the password from your phone and backup all the data from it. You can then restore all the items to your new phone and save the data from your old device. Phones can be always bought but you can't collect all the messages, contacts and other important stuff from the beginning. Remember to lock your phone again to keep it away from uninvited people who are not authorized to access your phone and if you forgot the password again then at least you know Android Lock Screen Removal is always there to assist you.